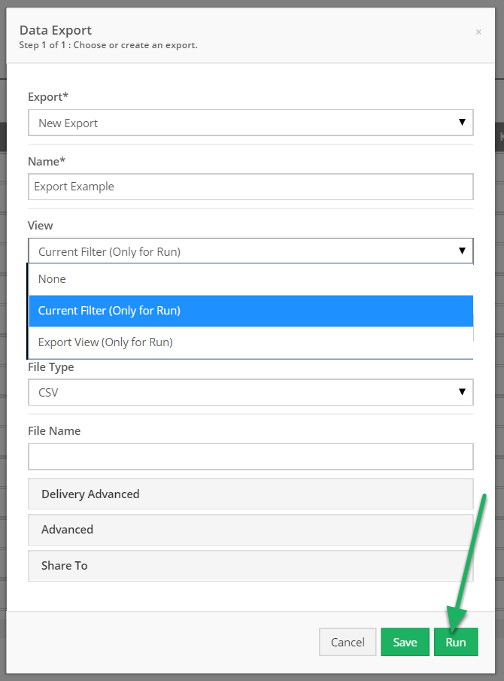 On the export screen, select "Current Filter" to export data without needing to save as a view first. Note: Current Filter acts as a view for the purpose of one-time export. Only for Run will allow you to export without saving as a view.